Heater switch for Austin Healey, Triumph and Jaguar. Two different switches were originally fitted - the earlier used a knob retained by a screw, the later used a push-on knob retained by a spring-loaded stud. Switches supplied are of the later type. This knob fits the current switch that we carry. This later style knob is a push-on knob retained by a spring-loaded stud. The original switches used a screw to retain the knob. 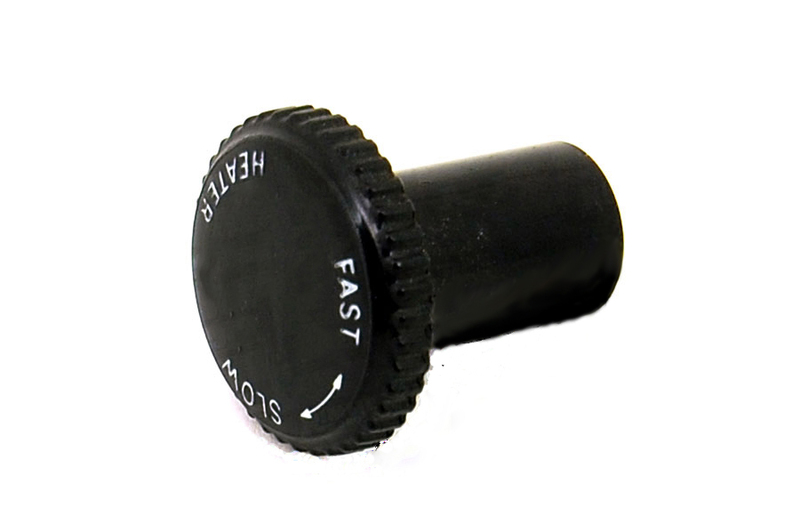 See our listing for 500513 for the screw style knob. 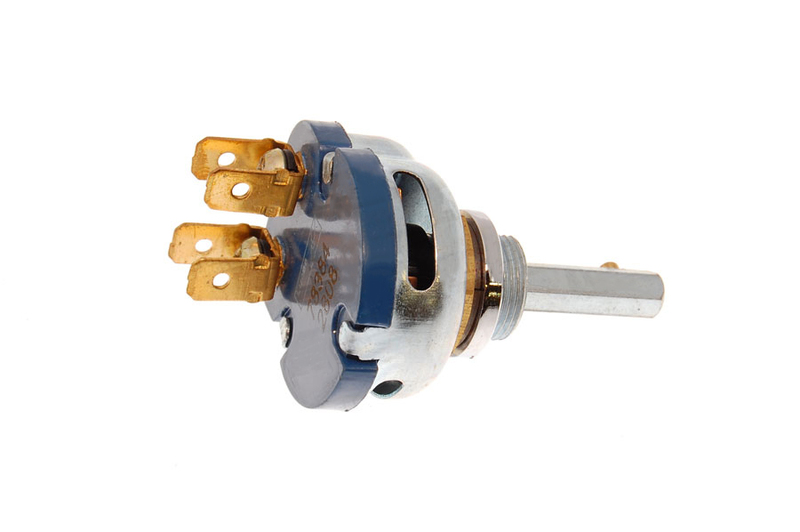 The earlier or original style switch used a knob retained by a screw. This is the correct knob for the early switch.